Permaculture Sydney North creates empowered, resilient and sustainable communities by teaching people skills in permaculture and self sufficiency. We run a range of practical, hand-on workshops and courses, and we bring in guest speakers on a range of topics close to our hearts. Our education is fun and a great way to connect with a like-minded community. Many events are free for members, and our paid courses are affordably priced. Narara Valley High School and Narara Ecovillage, Narara, NSW 2250. Calling all dirt and soil worshippers, cultivators, regenerators, permaculturalists, composters and mud-lovers! Put this not-to-missed event in your 2019 dairy now. Narara Eco Living Network will present a fun and informative day dedicated to “dirt” (mainly soil!). A day that celebrates the vitality and importance of soil-the living carpet we take for granted, totally rely on, and which we are losing much too fast! A day of very practical information: soil science and analysis (testing and tasting! ), composting and worm farms, permaculture and regenerative agriculture, chemistry and biology, and getting your hands into dirt. Talks, demonstrations, hands-on experiences, and opportunities to talk with experts. Presenters include ABC television personalities Angus Stewart and Tino Carnevale, Simon Leake ( SESL, soils author), Prof. Mark Taylor (MacQuarie University), Peter Bacon (Woodlots and Wetlands), Permaculture experts and more. No Registration Required - ALL welcome - members and non-members - why not bring along your friends and family and make a day out of it. Richard and Joan Cassels, MAD ABOUT DIRT event organisers. Come and learn the basics of beading/jewellery making. It is creative, fun and you can actually wear the things you make and they make wonderful gifts. You can make your own earings, pendants, necklace, bracelet or key ring or a star decoration. You can make one or all. The choice is yours. * What is the difference between a head pin and an eye pin? 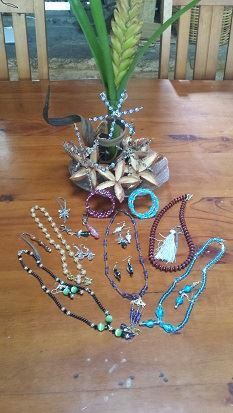 All materials, including beads, are supplied. If you have any special beads at home that you don't know what to do with, you are welcome to bring them with you and we can put our creative caps on and help you create a special necklace, bracelet or something. You will be given a bag to carry your goodies home. This is a workshop run by Pat Collins who has been teaching for over 23 years and has more than 20 years of Practice as a Herbalist. She has written a number of books including ones on weeds and their uses. The workshop will start by learning about the herbs, related subjects and the items that will be made and then we will all break into groups and create the products which will be divided up for everyone to take home. This is an all day workshop running from 10am till 4pm at Roseville. You will take home a jar of each of the products made and a tote bag to carry them home in. Come and join us and learn about Fermenting with Gillian Kozicki. This two-hour session provides an introduction to fermenting, focusing on the benefits and links to Permaculture. Gillian, a passionate ferment revivalist, will share her experience by demonstrating how to make Sauerkraut, Kombucha and Milk Kefir. These are the three staples of fermenting to help you built a diverse and healthy ecosystem in your gut. Gillian Kozicki is the passion behind Cultured Artisans. She empowers people to engage in their wellness journey, sharing her love of home prepared, fermented and whole foods - foods that support our good health and wellbeing. Gillian has spent many hours researching, experimenting and testing, to find a sustainable ferment rhythm. A health-giving rhythm that works for her, her family, and for those she teaches. Here Gillian shares her passion, supporting others "ferment to better health". 10 Feb 2018 Willoughby Local Group Meeting - Sat 10 February 2018 - All things Tomatoes & Summer Harvest Pickle Swap!! 11 Sep 2016 External: Sustainable House Day - 11 Sept - Save the Day! 26 Nov 2015 PNB - The Conscious Consumer Panel. 13 Sep 2015 External: Sustainable House Day - 13 Sept - Save the Day! 08 Aug 2015 Hornsby Local Group Meeting - Craft workshop on protecting crops from insects. 05 Aug 2015 Costa Gets Serious about Soils. Bookings Essential! 03 May 2015 International Permaculture Day 2015 - In Support of Soil! 29 Nov 2014 Do plants have pool partys? 24 Aug 2014 Augusts Permabee called off. 27 Jul 2014 The July permabee Chris & Margaret are making their wicking beds! 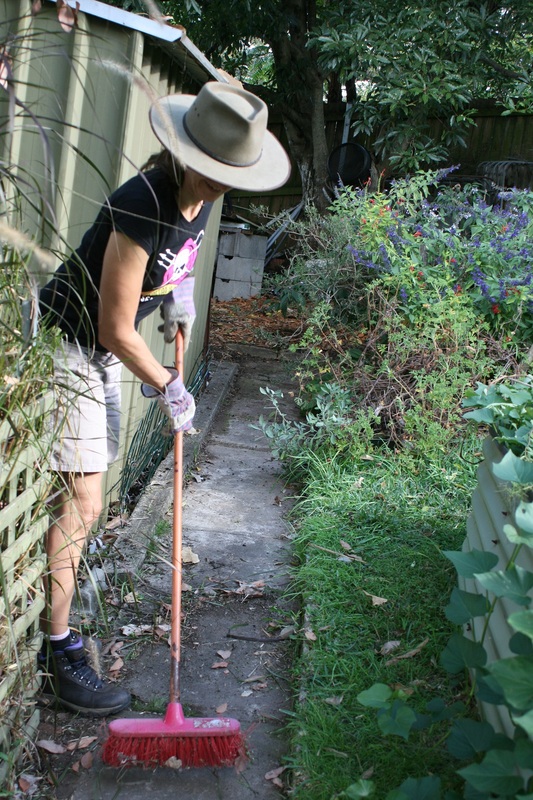 24 Jul 2014 PNB: Want to Cut Down on the Chemicals in your Garden and your Lifestyle? 16 Jun 2014 PSN Monthly Meeting June 16 - A celebration of bees: Film night featuring MORE THAN HONEY, plus more! 27 Apr 2014 Cecilia’s April permabee. 01 Mar 2014 Be part of Sydney's Mardi Gras with our Permaculture float! 27 Oct 2013 October Permabee is heating up! 22 Sep 2013 Back to School for September Permabee. 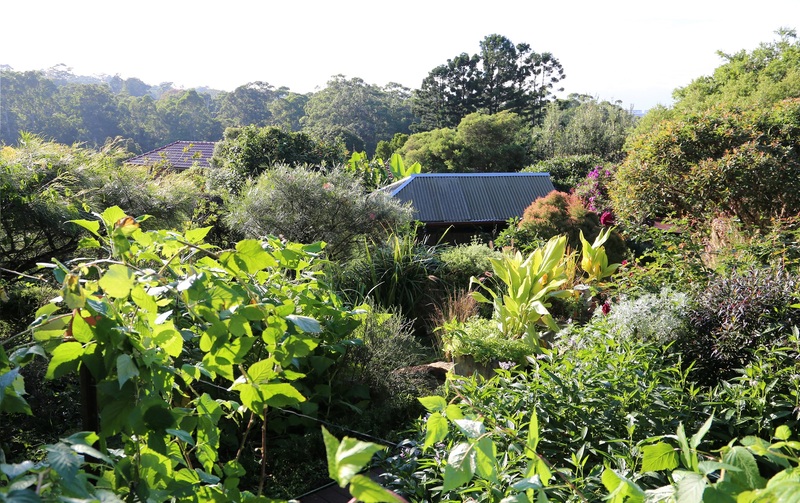 14 Jul 2013 Come & see the Ku-ring-gai Wildflower Permaculture Garden site! 11 Aug 2012 PSN Ku-ring-gai local group’s August meeting. 19 Nov 2011 The Annual PSN Regional Tour!